ZØRORMR was born at the turn of 2009/2010 on the ruins of a dark ambient project IA Serpentor. During the winter of 2010 in the obscure walls of the Vatican Cellars Studio ZØRORMR recorded its debut album entitled �Kval� - a mixture of neoclassical, dark ambient and raw, basement black metal. 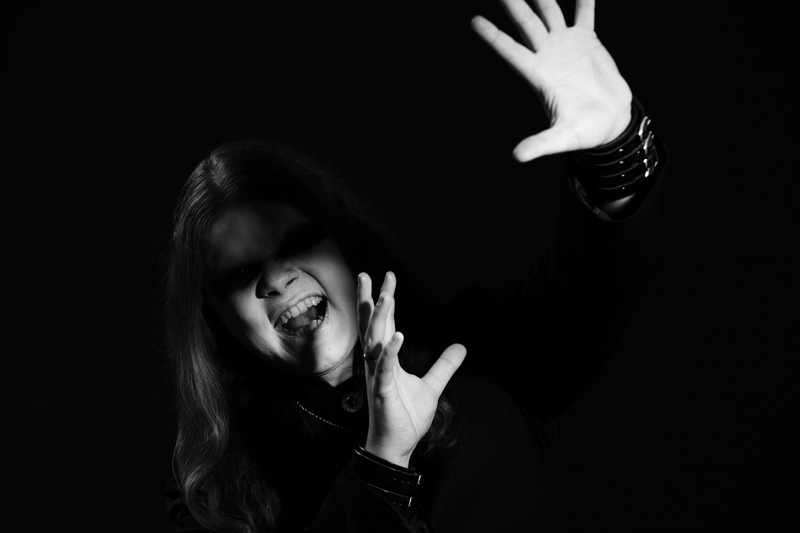 Quazarre (DEVILISH IMPRESSIONS, ASGAARD) performed a guest solo on the song "Misanthropy". The album was released in 2010 in Poland by Via Nocturna Records, and in Germany and in Russia with new artwork in 2011 by Sturmglanz Black Metal Manufaktur. Less than two years after the premiere of "Kval" ZØRORMR begun recording the second album in its discography entitled "IHS". This time the drum machine was replaced with a real dummer, a young but well-known and experienced Polish metal drummer Icanraz that already recorded with both DEVILISH IMPRESSIONS and ABUSED MAJESTY throughout the years. He recorded his parts in the Studnia Studio in Bialystok. The guitars were recorded in the walls of Opole�s Red Dragon Studio and supervised by Quazarre, who also decorated the album with a few ileads. In addition, other guests joined the recording process: vocalists Cezar (CHRIST AGONY) and Shadow (BLACK ALTAR). The whole sound, mix and master was done by Wojtek �Flumen� Kostrzewa, known for his work of ASGAARD and HERMH. The album was released by Seven Gates of Hell on March 3, 2013. The third album by ZØRORMR entitled �Corpus Hermeticum� has brought this project to another level. Released on February 22 of 2015 by Via Nocturna and limited to 500 copies the album sold out within 6 months after its release. Recorded in various locations like the world renowned Hertz Studio of Wieslawski Brothers and mixed by Arek �Malta� Malczewski famous for his work with BEHEMOTH the album exceeded the projects previous efforts. Also the album had guest stars: Mike Wead (KING DIAMOND, MERCYFUL FATE) in the title track and Hal (VADER) in �In the Mouth of Madness�. A re-release of the album is planned for Russia and CIS countries exclusively by More Hate Productions in in May 2016.